London is one of the greatest cities in the world full of iconic landmarks. You can stop during your tours that will enable you to see all the main sights. If you are looking for a more unique and local experience and want to discover a different side of London off the beaten path. You may like this selection of some of the less visited secret place known as the hidden gems of London. Neal’s Yard: if you love walking around aimlessly looking for colourful streets, pretty corners, secret bookstores and quite tea shops, then you will love discovering London. One of the best secret found in London is a small alley called Neal’s yard. It is open into a courtyard defined by colourful facades, housing, health, food shops and cafes. . The place may seem small but being there separates you away from the busy atmosphere of London. You can have a snack, coffee even lunch quietly while admiring the surroundings and watching people just go by. There are wooden chairs around the courtyard you can sit on to take a perfect selfie with the quaint features as your background. 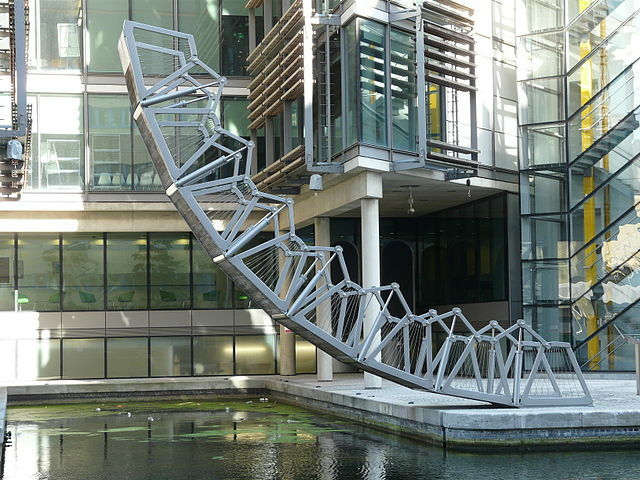 The Rolling Bridge Paddington Basin: The Rolling Bridge is the brainchild of British designer Thomas Heather wick. During the day it is a regular bridge, but at 12 noon on every Friday it rolls up forming an octagonal shape. St Dunstan’s is one of London’s hidden treasures. Right in the centre of the city between Monument and Tower Hill this stunning garden features Gothic architecture by Sir Christopher Wren. It’s a delightful oasis from the bustle of the city. The church hill Arms: Not many people know about it. It is located in the notting Hill area of the city. The Churchill Arms is a pub with a beautiful array of floral decorations. At Christmas the festive spirit is in full spring with Christmas trees and lights having their moments to shine. The Churchill is probably one of the most photographed pubs in London. When you see it for yourself, it is to understand why. If you have passed through waterloo you have probably passed through this world famous Leake Street Tunnel without knowing it was there. It became famous when renowned street artist Banksy himself launched the Cans festival here in 2008. Since then artists from all over the world makes a trip to this tunnel leaving their mark behind. Light of Soho is a rabbit warren full of surprises. No matter the number of times you visit, there are always new things to discover. Like Lights of Soho, this social enterprise is a gallery, culture hub, member club and bar. Their mission is to support artist and creative and to keep some of the original Soho vibe alive. The seven noses: Soho is a colourful and interesting district to wander around. And while you are enjoying the ambiance of this exciting part of central London be on a lookout for the seven noses. These seven noses is an art created by artist Rick Buckley. They are plaster of Paris reproduction of his nose. He created them n protest of the amount of CCTV cameras put up n London. It makes for an interesting treasure hunt. The Hidden ears: Once you’ve found the seven Noses, head off to Floral Street in Convent Garden to look for the Hidden ears. They were created by artist Tim Fish lock. Gods own junkyard, Walthamstow: how to describe God’s Own Junkyard. Is it a psychedelic paradise of neon lights and vintage signs? A Bakery? Or A Shop? Make sure to visit this place, it will keep you entertained for hours. There are restaurants that only a handful of locals and regular customers know about. For instance restaurant in a basement tucked away behind a hidden door or found in an unmarked unexpected location. Here are some restaurants. Viet Hoa Mess: It is an underground restaurant beneath Shoreditch’s popular, family run Vietnamese cafe? It’s something of an architectural wonder. The design is absolutely Gothic and classic, featuring embedded dining tables with individual grill station. It’s like dining in an exquisitely lit cave. Kyoto Garden in Holland Park is a hidden gem wrapped in another hidden gem, Holland Park. The beautiful park in Kensington has plenty of hidden corners with winding paths, statues, peacocks, an opera house and the tranquil Kyoto garden. These off the beaten track treasure don’t stay secret for long so get exploring.